I didn't know who Gerry Goffin was when I was in junior high school, and high school, in the '60s. I listened to AM radio constantly on my new transistor radio, and I knew all the songs on KEWB's weekly Top 20 -- so well that sometimes I even called in and won Name It and Claim It. I knew who sang the songs, so of course I knew who Bob Dylan was, and the Beatles. But I didn't know writers who didn't sing, so I didn't know who Gerry Goffin and Carole King were. Of course I knew their songs: "Will You Love Me Tomorrow," "It Might as Well Rain Until September," "Take Good Care of My Baby," "Go Away Little Girl," "One Fine Day," "Oh No Not My Baby," "Up On The Roof," and "Pleasant Valley Sunday" were part of my life. And they still are. When these songs come on my car radio, I still sing along, and I still remember every word. 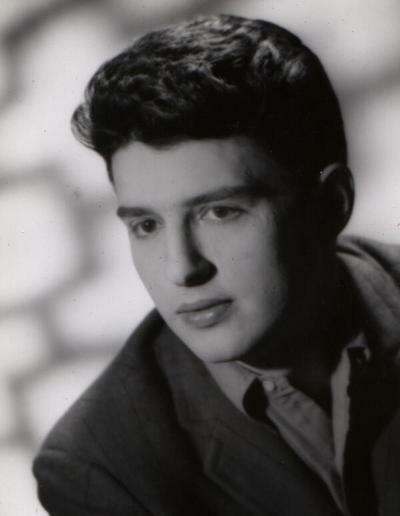 Gerry Goffin (undated photo). Image courtesy of the Huffington Post. That was a key element of Goffin and King's music. Like Burt Bacharach, and unlike Dylan and the later Lennon-McCartney, they wrote songs that not only had beautiful, catchy melodies, but lyrics that made sense, and expressed an understandable point of view, clearly and simply. Their songs were universal: as Carole King said, Gerry Goffin's words "expressed what so many people were feeling but didn't know how to say." Whether you were actually feeling them or not, you could imagine real people feeling them, and imagine feeling them yourself. No mysterious Miss Lonely, no Walrus, but real people, and familiar feelings. And in this, Goffin and King were true heirs of Irving Berlin, Cole Porter, Rodgers and Hart, and the other great songwriters of the Golden Era, experimental artists who wrote universal, memorable, beautiful songs skillfully and elegantly. 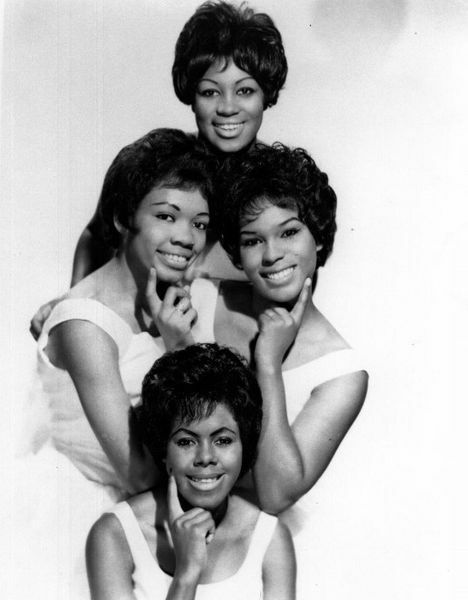 The Shirelles (1962). Image courtesy Wikimedia Commons. Experimental innovators tend to keep their creativity much longer than their conceptual counterparts, and this was true of Gerry Goffin. I learned who Carole King was in the '70s, when she became a superstar singer, but I think I still didn't know who Gerry Goffin was. Yet it turns out that he was still writing songs I listened to, and learned by heart. Even after he and Carole King divorced, and stopped writing songs together, Goffin continued writing lyrics, notably with the composer Michael Masser. Their hits included "Do You Know Where You're Going To," "Someone That I Used to Love," "Tonight, I Celebrate My Love," and "Miss You Like Crazy." They also wrote "Saving All My Love For You," that Whitney Houston made into a monster hit in 1985. 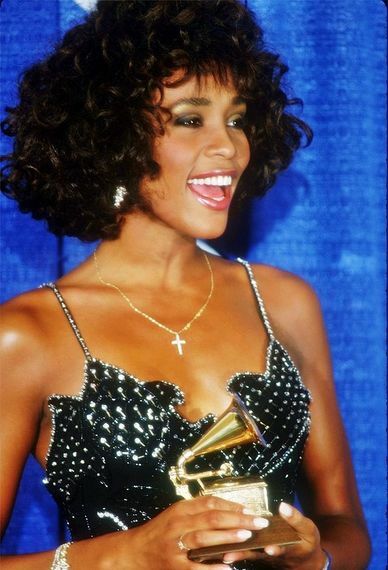 Whitney Houston at the Grammy Awards. Image courtesy Wikimedia Commons. Goffin's lyrics appealed not only to a broad audience, but to a large and remarkably diverse range of singers. The first Goffin-King song to reach No.1, in 1961, was recorded by the Shirelles; the second in 1962, by Little Eva; and the third, in 1963, by Steve Lawrence. Others who had hits with Goffin-King compositions in the '60s included Bobby Vee, The Chiffons, The Drifters, Herman's Hermits, The Animals, Maxine Brown, Dusty Springfield, Aretha Franklin, and the Monkees. Artists who recorded Goffin-Masser songs during the '70s and '80s included Diana Ross, Roberta Flack, Crystal Gayle, Teddy Pendergrass, Natalie Cole, Gladys Knight and the Pips, Billy Preston and Syreeta, Whitney Houston, and Barbra Streisand. Goffin's lyrics were simple without being simplistic, and often displayed a subtle sophistication. In her memoir, Carole King marveled at the images he produced, succinctly and unobtrusively: a description of an earthly paradise as trouble-proof, to rhyme with roof; a soul in the lost-and-found, saved by a lover with a claim check; the vulnerability and helplessness of being deeply in love conveyed by just three words, "chains of love." 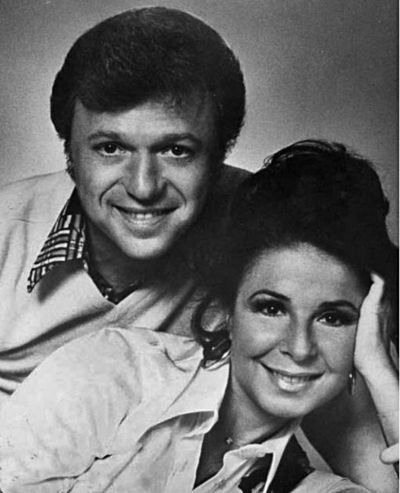 Steve Lawrence and Eydie Gormé (ca. 1970). Image courtesy Wikimedia Commons. Decades after he'd begun writing the biggest hits on the Top 20 hit parade, and long after Bob Dylan and Paul McCartney had become little more than performers, nostalgia acts for aging baby boomers, Gerry Goffin was still an innovator, writing songs that went to No. 1, and that became a part of your life. Popular music had changed, and unlike his conceptual peers Gerry Goffin had changed with it; if teen angst was no longer the primary concern, he didn't just write silly love songs, but songs about adult relationships, including extramarital affairs. Conceptual innovators like Dylan, Lennon, and McCartney had been powerful voices of one moment, but experimental innovators like Goffin and Bacharach kept creating, and became memorable voices of more than one. In popular music, as in many other domains, conceptual and experimental innovators serve different but distinct roles. Conceptual young geniuses are shooting stars. We remember them for landmark dramatic works that remain frozen in time, so that hearing "Like a Rolling Stone" or "Penny Lane" instantly takes us back to a specific time and place. But after those flashes, these artists effectively disappear from our lives as sources of new music. In contrast, experimental old masters accompany us throughout our lives, providing a soundtrack that continues from one year to the next, and changes as we ourselves change. Gerry Goffin was one of the greatest experimental forces in the popular music of my generation. I still don't know much about him, but I will always love his music, and I am sad that there will not be any more.